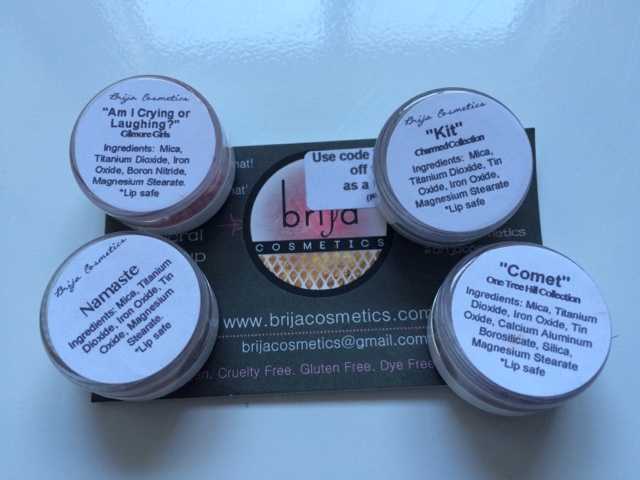 The Vegan Mouse: Brija Cosmetics mini jars. 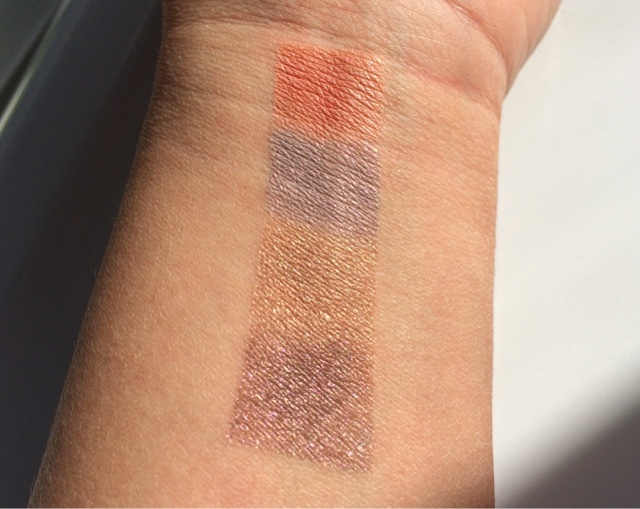 Back with a vegan, cruelty free cosmetics review. 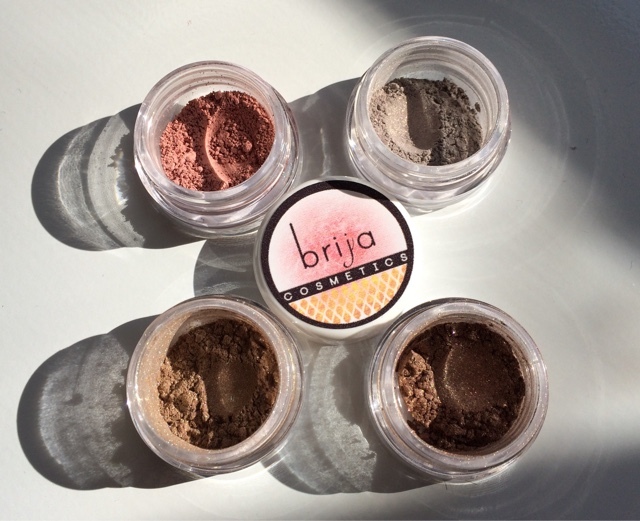 Brija is one of my favorite cosmetics companies. This time I got mini jars of eyeshadow because of the price (around $2.75 each) and because the amount of product is more than enough. This is my order. 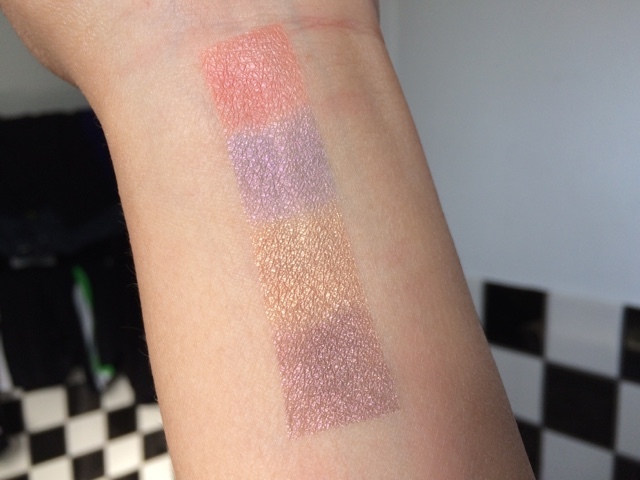 4 tiny jars of pretty colors! Here's a nice pic in the sunshine. Top to bottom: Am I Crying or Laughing?, Kit, Namaste and Comet. 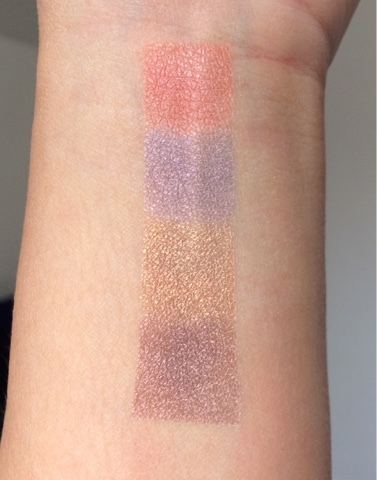 All swatched on top of Milani eye primer.